Insurance Companies owe their Insured a contractual and common law duty of good faith and fair dealing. When an insurance company unreasonably refuses to compensate a victim of a motor vehicle crash or other mishap and breaches their obligations of good faith and fairness, their actions are commonly known as “bad faith”. “An insurer’s breach of the implied duty of good faith and fair dealing may give rise not only to a breach of contract claim but also to tort liability.” Goodson v. Am. Standard Ins. Co., 89 P.3d 409, 414 (Colo.2004). The best example of bad faith would be a garden variety rear end car accident in which an automobile is involved in a collision with an uninsured hit and run motorist driving a tractor trailer truck. The injured victim has a boatload of medical bills totaling $25,000 as well as lost wages and pain & suffering. The seriously injured auto accident victim has a herniated disk as well as traumatic brain injury (TBI) as a result of the auto wreck. The insured victim only has $25,000 of uninsured (UI) and underinsured motorist coverage (UIM). The insurance company unreasonably delays / denies payment of the uninsured motorist claim for a couple of years and forces it’s insured to arbitration to get some semblance of justice. Unfortunately, Insurance usually rejects the proposition that they owe a fiduciary obligation to anyone besides their stockholders. They pay as little as possible and deny as many claims as they can. Insurance companies are notorious for delaying payment of legitimate claims so they can invest the reserve for their own purposes. Insurance has no interest in properly and fairly resolving claims. Insurance companies are notorious for shoddy investigations, confusing the issues and delaying as long as possible. Personal Injury attorneys in Rhode Island and across the United States are well aware of big insurance’s lack of empathy towards the plight of seriously injured victims and their families. At the end of the day, they DO NOT CARE. I call it the 5 d’s of insurance: DUCK, DELAY, DENY, DEFEND and DEFLECT. Occasionally, a top personal injury attorney will bring a bad faith case to trial and a jury punishes insurance for their coercive and manipulative tactics. Sometimes, the insurance company gets whacked for a multimillion dollar punitive damages judgment. Sadly, insurance companies have created a pervasive culture of greed and arrogance in which adjusters quickly learn that their obligations are to the owners and stockholders of the insurance company and NOT to their insured. This culture puts corporate profit over providing proper coverage to their insured and properly compensating injured victims in motor vehicle accidents and premises liability claims. –Breaching the duty to defend an Insured against a claim, lawsuit or litigation. Unfortunately, an Indemnity company has the right to make the initial decision of whether they will provide their insured a negligence insurance Defense attorney to defend a claim for injuries or wrongful death as a result of a car accident, premises liability claim or other personal injury cause of action. –Breaching legal duty to indemnify* for a claim. If a company does not indemnify it means that they refuse to pay the claim, judgment or order. In some matters the insurance company will provide a insurance defense tort lawyer to defend the tort claim but will do so under a “reservation of right”. 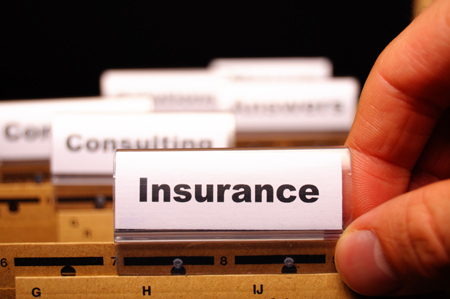 In Rhode Island, if an insurance company is unclear about whether the insured is entitled to coverage they may file a declaratory judgment claim. In the event an insurance company wrongfully denies coverage, an insured can also file a declaratory judgment against the insurance company asking that they be ordered to defend and provide coverage. A declaratory judgment is essentially asking the Court to determine whether there is an obligation to defend and indemnify against loss. In Assermely v Allstate the Rhode Island Supreme Court sitting in providence went a set further and and instituted rules that even if the insurance company acted in good faith they were obligated to pay the full judgment if the injured victims personal injury lawyers sent a demand within the policy limits and they refused to settle then they would be responsible for the entire judgment including interest!